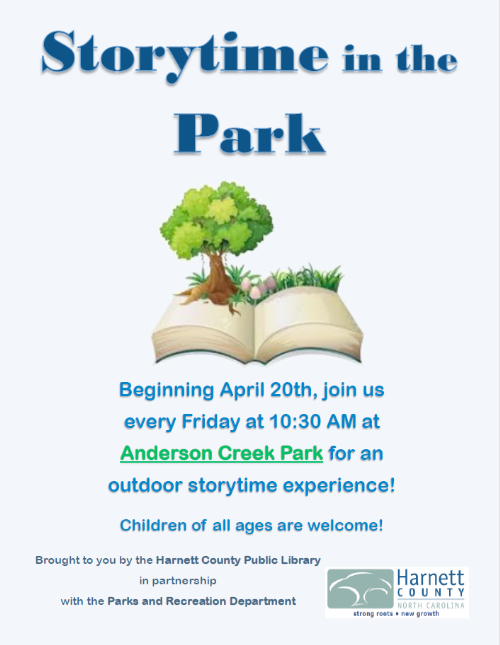 We are happy to announce, in partnership with the Harnett County Public Library, the return of Storytime in the Park at Anderson Creek Park! Storytime in the park will return on Friday, April 20th, 2018 at 10:30 AM and will run each subsequent Friday at the same time. Children of all ages are welcome! The final storytime for the season will take place on Friday, September 28th.